A younger son of a minor nobleman who became a notable tourneyer and warrior, a comrade to princes and kings, a powerful landowner and, ultimately, the regent of England and preserver of the Plantagenet dynasty, William Marshal’s career perhaps best typifies the breadth of the world of the knight. Born in 1147, the fourth son of John Marshal, a mid-rank knight from southern England, William was a thrust into the political limelight from a very early age. John was holding Newbury Castle for Henry I’s daughter Matilda against King Stephen who, in turn, held the infant William hostage. When Stephen threatened to hang him unless John surrendered the castle, the elder Marshal replied that he ‘still had the anvils and hammers to produce even finer ones’. Stephen went to carry out his threat but because of the child’s naïve innocence he could not bring himself to do so. At around the age of 12 William was despatched to the continent where he entered the service of William de Tancarville, the Chamberlain of Normandy and a distant relative of his mother, where for eight years he served as a squire and learnt his trade. In 1166 he was knighted, at the time when the conflict between Henry II of England and Louis VII of France offered plenty of opportunities for him to gain experience. William was quick to show his prowess as an individual warrior, being equally successful on the tournament field and battlefield. In 1168 William entered the household of Henry II’s son Henry ‘the Young King’, where he trained the young prince, who was about five years his junior, in skill at arms. The prince (like Edward of Woodstock), the Black Prince, son of Edward III, two centuries later) was at the heart of tournament and chivalric society, and William’s attendance on him could only improve his standing, giving him access to a rarefied circle of high nobility and royal persons. He remained a part of the Young King’s household, effectively serving as its commander, although at one point a rift between them caused him to strike out on his own, his own prowess driving him forwards. At the Young King’s death in 1183 William was firmly established and had a following of his own. William undertook a pilgrimage to Jerusalem, completing the vow originally made by the Young King before he was taken ill. He returned to enter the service of Henry II and, on the king’s death, that of his son Richard. In 1189 he married Isabel de Clare, heiress to Richard de Clare, known as ‘Stronghow’, Earl of Clare and Lord of Striguil, gaining lands in Wales, Ireland, Normandy and England by the marriage and becoming one of the foremost magnates of the land. William was one of the lords to oppose John’s attempt to seize power from his brother whilst Richard was on crusade, but once the former became the king in 1199 William stood loyally by him throughout his reign, one of the few barons to do so. 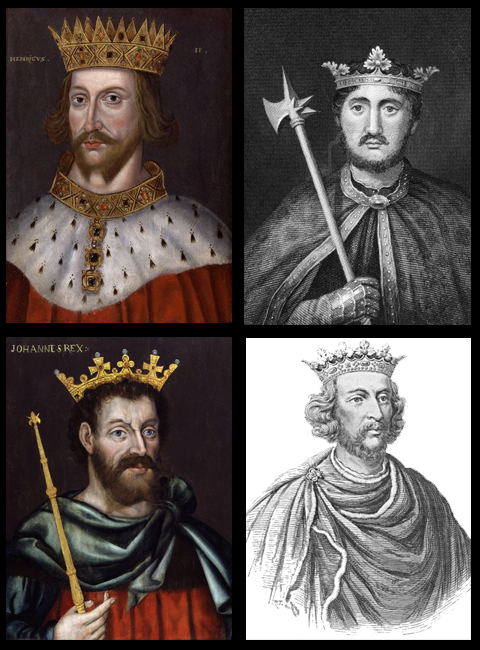 When John died in 1216, he entrusted William with the task of ensuring that his son, the nine-year-old Henry III, took the throne, and the Marshal was appointed regent. He defeated the French army under Prince Louis that had been invited in by rebel barons to overthrow John, taking the field at the age of 70. Showing a statesmanship that ensured a rapid and stable peace in which his charge could grow up. William negotiated a settlement with Louis and the rebels, and re-established Magna Carta, the collection of rights and privileges imposed on John by the barons in 1215. Marshal fell ill in March 1219 and, entering the Order of the Knights Templar, he made his final arrangements. He distributed his clothing between the knights of his household and the poor, confessed his sins and died. 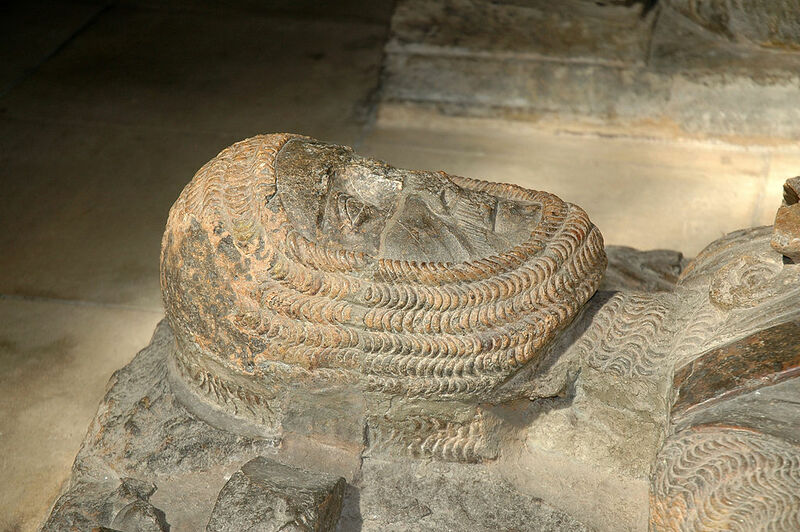 He was buried in the New Temple church, where his effigy can still be seen today. The news of his death travelled across the Channel and he was mourned by the King of France and his court as the most loyal, wise and best knight of his age. Earl William, his son, commissioned a history of his life to be written, thus securing William’s place in history, couched in a suitably epic tone for one who had been at the heart of chivalry for so long. The picture is not of William Marshal! It looks like 16th century armour. A ruffled collar? Thank you for the correction. You are absolutely right, this is not William Marshal but William Herbert 1st Earl of Pembroke c1506 – 1569 ( an illustration for Crabbs Historical Dictionary published 1825). I was also puzzled with ‘the fashion’, but supposed it is modern presentation, and not quite accurate depiction of 13th century man. The picture is replaced now.